The state House rejected a bill Thursday that would have allowed the sale of alcohol during sporting events on the campus of Middle Tennessee State University. Had a discussion with their Barstool guy today about this, apparently a lot of people wanted it, kinda sad because all it is, is another money stream for an athletic department. No school allows it in an on campus stadium. I believe Memphis and one other school have off campus stadiums and they serve alcohol there. I would think the legislature would have been better served putting a bill forward with the support of all in-state schools that would have permitted this instead of limiting to just one institution. I bet @ninerID thinks this is a couple years too late. 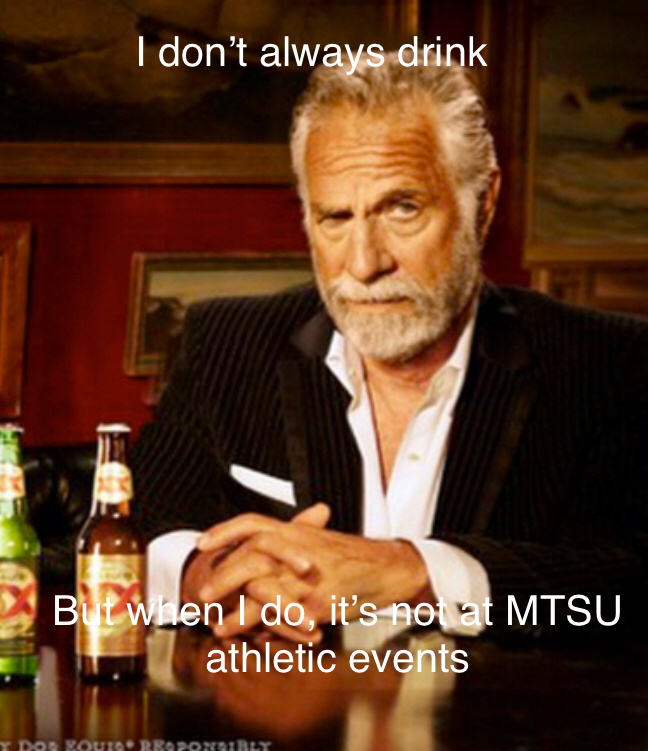 You can now drink a beer while you watch the Vols game on the TVs in MTSU stadium.